As with lots of European islands, Sardinia offers a beguiling range of holidays and itineraries. Beach bunnies will fall head-over-heels for the white sands and impossibly aquamarine waters around Costa Smeralda and the island’s south coast, nature lovers can get lost for days of hiking in the interior, where life feels like it’s been lived in the same way for centuries, and foodies can indulge themselves with some of Italy’s best produce – certainly its seafood is some of the best in the country. There are plenty of accommodation options on the island, whatever holiday you’re looking for, but we’ve picked a few of our favourites here. 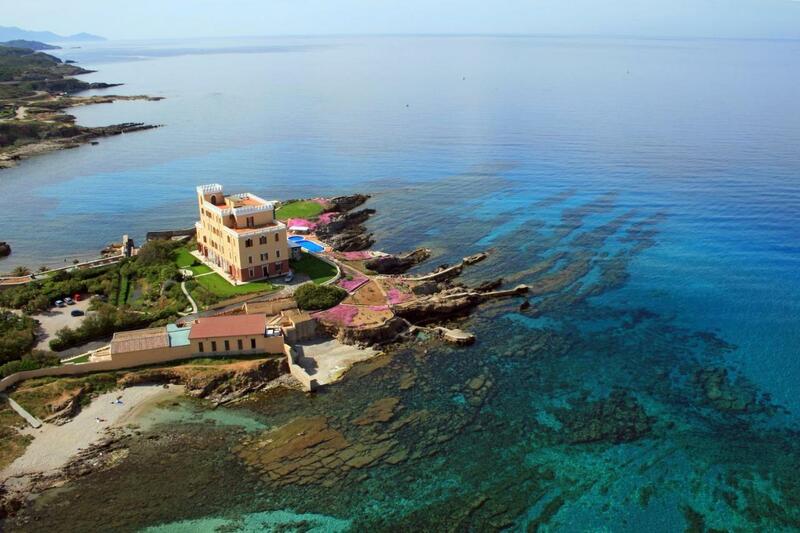 City central options like Cagliari’s funky The Place B&B, or Alghero’s converted 19th-century hunting lodge Villa Las Tronas. 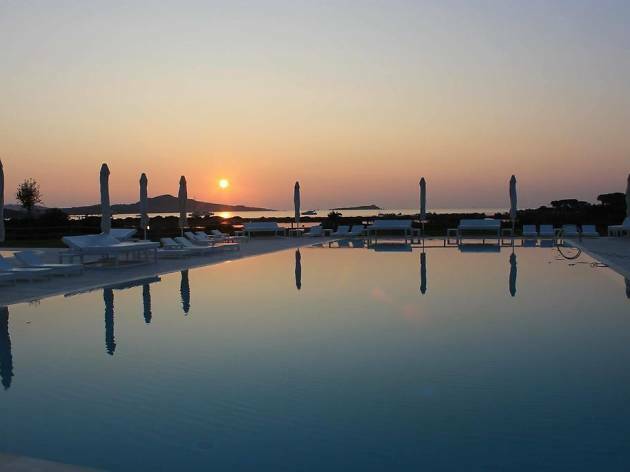 Five-star luxury options on the Costa Smeralda, such as the swanky Cala di Volpe or spa-tastic Marinedda. Surrounded by nature, the Paradise faces a wetland reserve in San Teodoro, and Capo d’Orso in its own nature park, or Valle d’Erica in Santa Teresa Gallura, where you can explore the beaches on the hotel’s traditional boat. And family-run Nora in Pula is the perfect base for discovering the island’s archaeological treasures. Read on for more. 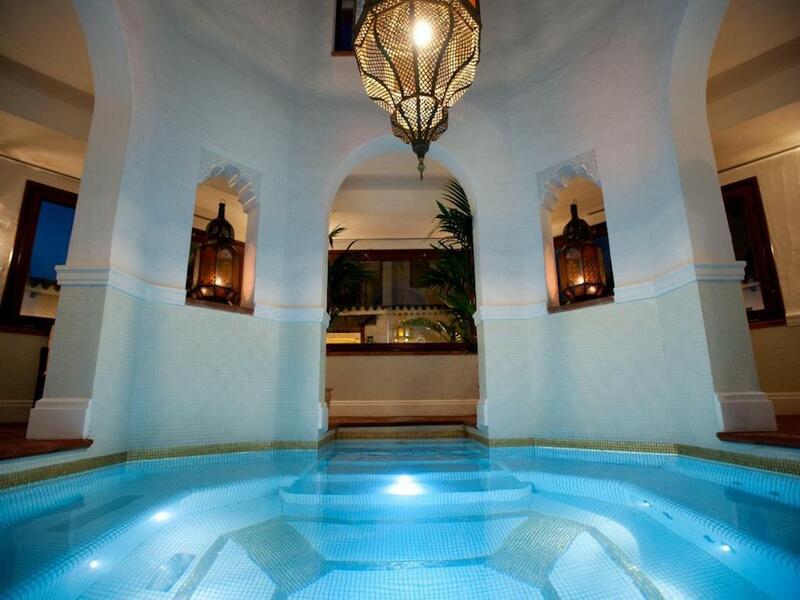 An hour's drive from Olbia in Trinita d’Agultu, five-star Marinedda is one of the biggest spas in Sardinia. Well designed luxury accommodation, all with balconies or terraces, is set within nature, with uninterrupted views of Isola Rossa. 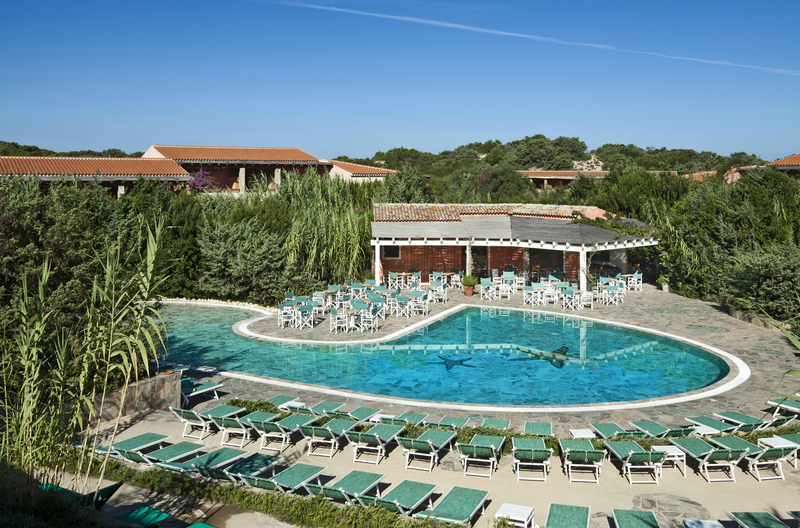 The beach is 250 metres from the hotel and, as well as dozens of spa treatments, there’s a gym, free sports and trekking activities, yoga classes, and daily trips around La Maddalena and to Corsica. 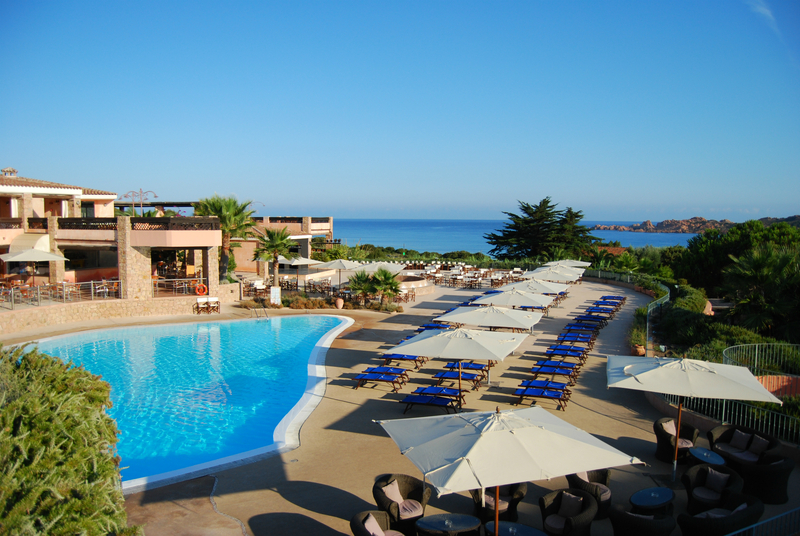 Excellent breakfasts are served on a panoramic terrace, and there are four restaurants to choose from. 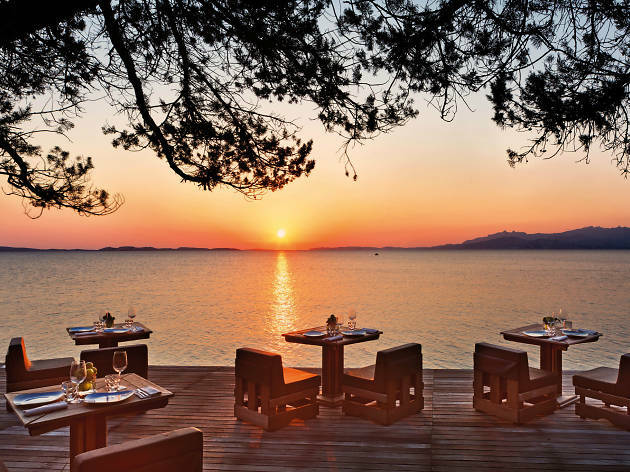 This five-star hotel, beloved by couples and honeymooners, overlooks the Maddalena archipelago in Palau, and is set within its own nature park to maximise the feeling of seclusion. Inoffensively monochrome rooms are spacious, with a verandah or balcony, service is excellent, and facilities are impressive, from the swimming pool on the rocks with five floating wooden sunbathing platforms to the well-equipped spa. Take a day-trip on the hotel’s vintage sailing boat, Pulcinella, or just spend the days on the hotel’s three lovely beaches; for those Marlene Dietrich moments, Cala Selvaggia is often deserted. 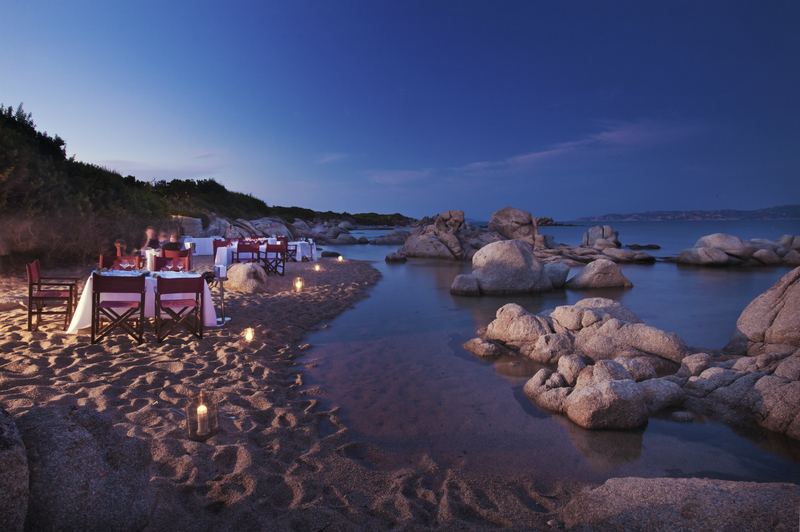 Cala di Volpe is in an idyllic setting on the Costa Smeralda, not too far from Olbia. It’s a pleasingly low-rise hotel is a mix of traditional terracotta and white stucco, with sculptures and cool artworks, and all bedrooms come with sea-view terraces. Beyong them lie six restaurants and bars, plenty of facilities, including a Wellness centre, and an Olympic-sized seawater pool. Don’t want to share it? If money’s no object, the Presidential suite has its own rooftop pool. 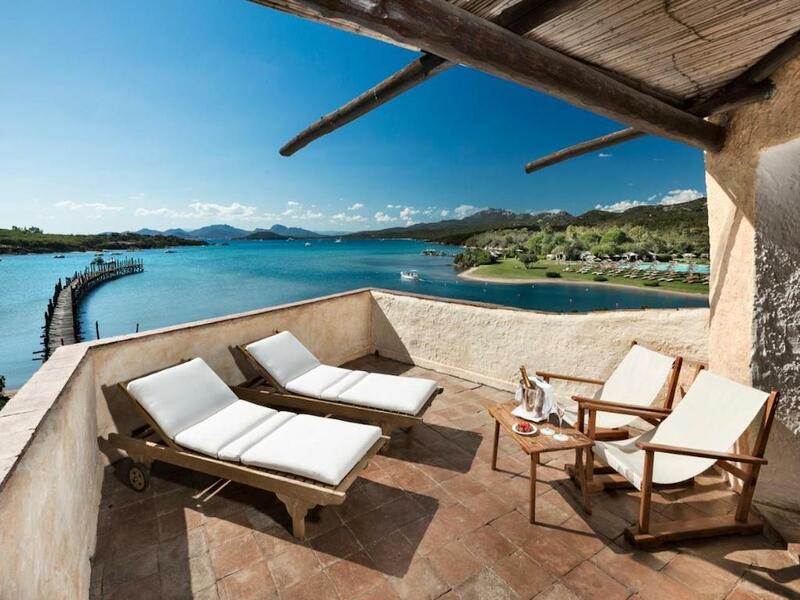 And if you can drag yourself away from all this laidback luxury, the excellent staff can arrange everything from kayaking to boat trips to La Maddalena. Set in 1,400 metres of its own piece of coastline to explore, this resort is so well equipped that there’s little reason to leave…everything is here, including seven restaurants, four pools (one with a swim-up bar), a huge spa centre and boat excursions to La Maddalena on the hotel’s boat, but it’s also not far from the groovy windsurfing area of Porto Pollo. Simple rooms, decorated with traditional art and textiles, have modern features, including an espresso machine, and many look out onto the La Maddalena archipelago. A half hour’s walk from the archeological site of Nora, this family-run hotel is filled with carefully chosen art and sculpture from its owner’s world travels. 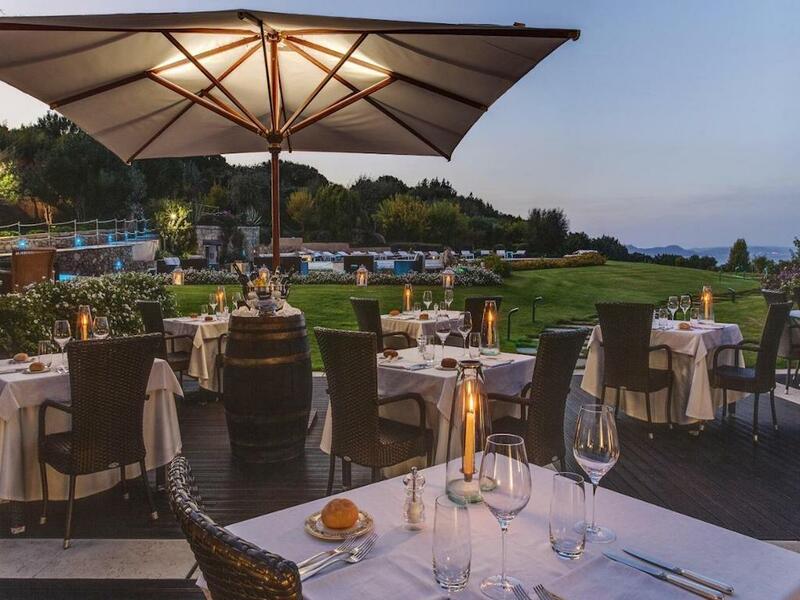 Set in a lush garden, it’s a typically Sardinian low-rise, with white plaster walls and wooden beamed ceilings, and many rooms overlook the pool. There’s a tiny spa with a hammam and, while there’s no restaurant, Pula, with plenty of bars and restaurants, is a relaxing half-hour’s walk away. Excursion bookings can be made to nearby beaches. 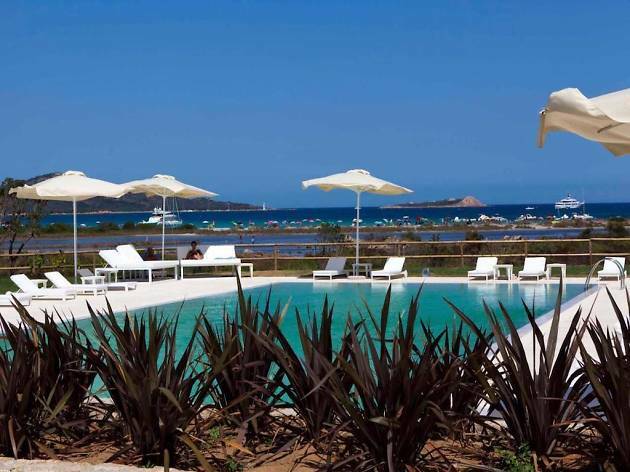 Though close to Olbia, this recently upgraded five-star at San Teodoro faces onto a lovely wetland reserve that leads to a private beach. It’s a modern minimalist complex with spare, stylish semi-detached rooms with verandahs facing the sea or garden, and beyond them a contemporary spa complex has a fitness area and Finnish sauna, as well as a private spa for honeymooners or bridal parties. 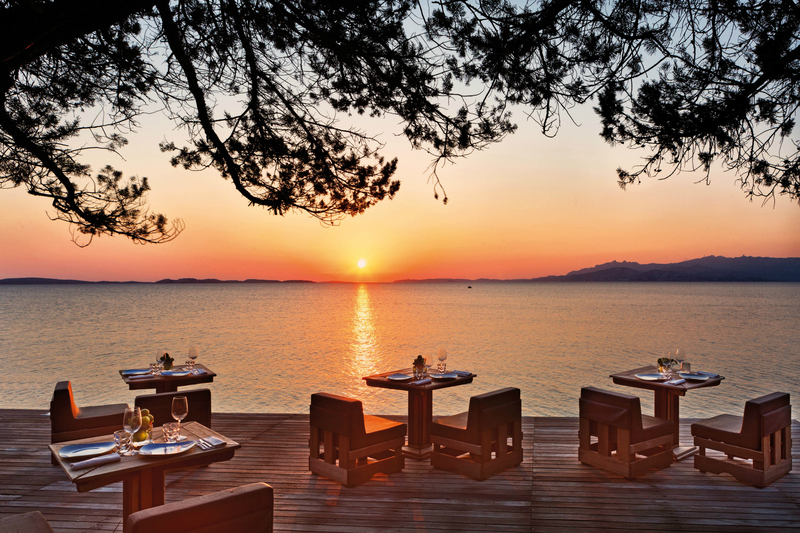 Catch spectacular dawns at the Sunrise Bar, open all day and evening. The restaurant creates innovative cuisine often based on traditional recipes. Boat trips can be arranged to the marine-protected island of Tavolara. Overlooking a beautiful bay, the location of this modern boutique resort is fabulous – especially when you take in the views from its small private beach. Spacious elegant rooms, with balconies overlooking gardens or the sea, are styled in muted tones, and all have a lounge area and luxurious bathrooms. An expansive buffet breakfast can be taken on the umbrella-covered terrace overlooking the pool area, and there’s a creative evening menu. 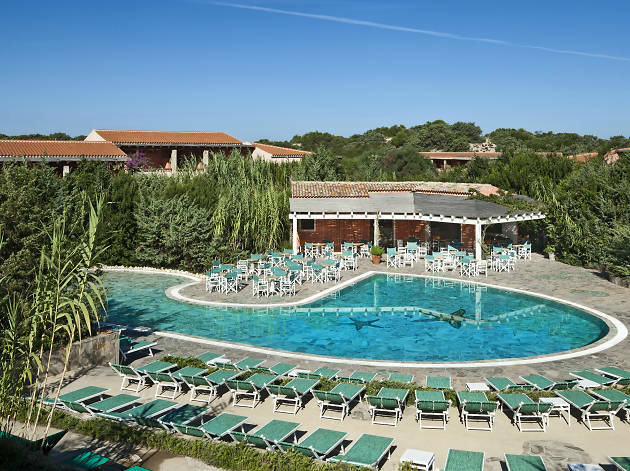 Facilities include indoor and outdoor pools and a spa, and beyond the resort, bookable trips include horse-riding and cultural tours, as well as trips to La Maddalena. Once a 19th-century hunting lodge, this five-star gem has a wonderfully aristocratic feel. Surrounded on three sides by parkland or sea, the terrace of your individually designed room or suite may well have a panoramic view. 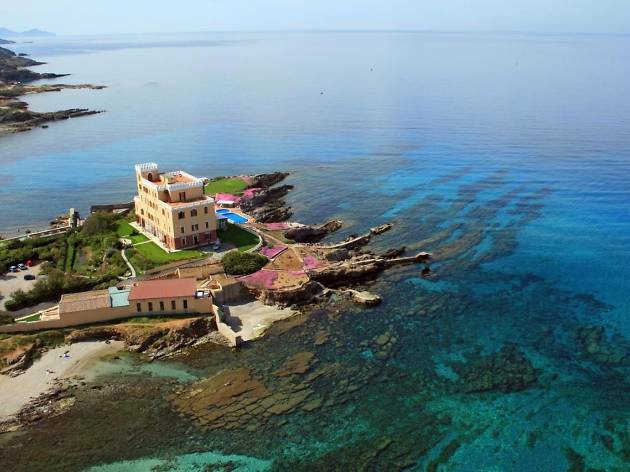 Facilities include a heated indoor pool, and another overlooking the sea, plus a spa and gym, while the slightly formal restaurant majors on seafood. 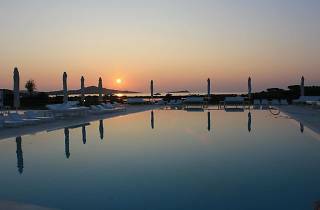 For those looking for more varied options, the hotel is close to the bars and nightlife of Alghero’s centre. 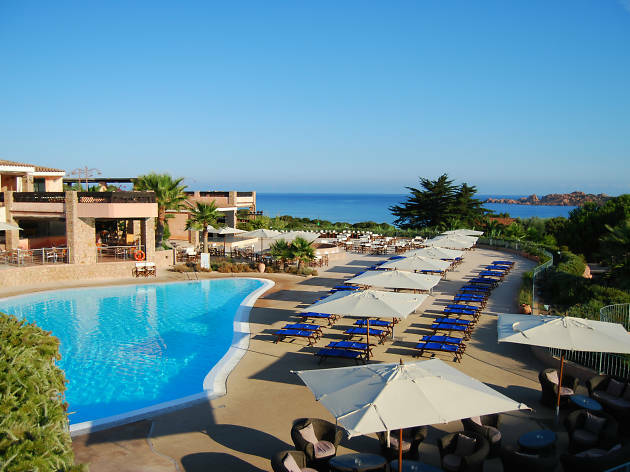 This secluded five-hotel complex, with each hotel set in its own separate area, has spectacular facilities that include spa, sports and water sports, ten restaurants, and evening entertainment. Rooms at Le Sabine are well sized, and most have a balcony or terrace. 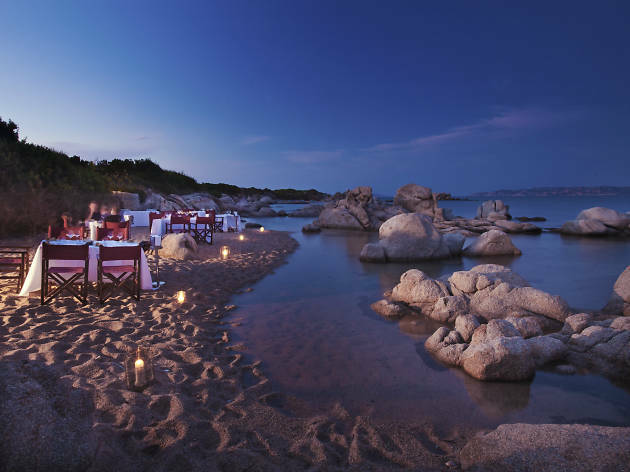 Beyond the hotel, the resort overlooks the longest stretch of beach in Sardinia, and day excursions can easily be made to Santa Teresa Gallura or the island of Corsica. It’s all within an hour’s drive of both Alghero and Olbia airport. This quirky little B&B lies on a quiet back street within sight of the famous St Efisio church. Within the traditional 19th-century building there are six individually designed rooms, one with a freestanding bath and in-room sauna. There’s no restaurant on-site, but the owner, Enrico, is helpful with recommendations for nearby bars and eateries, and a breakfast voucher is provided for nearby Caffè Coccodi. Don’t have your own wheels? Local buses can easily ferry you to the excellent five-mile Poetto beach and the wetland park of Molentargius.